A study by researchers at the University of St Andrews has shed new light on the hunting behaviour of sharks using 'black box' technology. 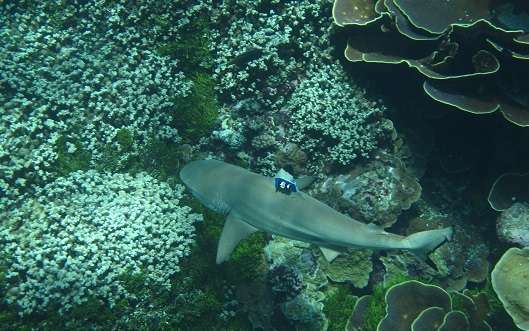 In the study Dr Yannis Papastamatiou of the University of St Andrews Scottish Oceans Institute used technology similar to airplane 'black-boxes' to study the behaviour of reef sharks at a remote Pacific atoll. "The use of these technologies allow us to determine why animals in the wild behave the way they do," said Dr Papastamatiou. "'Black-box' technology allows us to reveal the secret lives of sharks."